This article is about the analytic philosophy of Quietism. For other uses of the term "quietism", see Quietism. Philosophical quietists want to release man from deep perplexity that philosophical contemplation often causes. 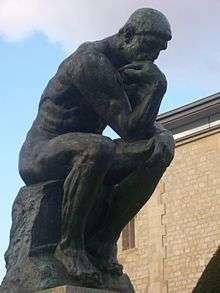 By its very nature, quietism is not a philosophical school as understood in the traditional sense of a body of doctrines, but still it can be identified both by its methodology, which focuses on language and the use of words, and by its objective, which is to show that most philosophical problems are only pseudo-problems. The causal principle of scepticism we say is the hope of becoming tranquil. Men of talent, troubled by the anomaly in things and puzzled as to which of them they should rather assent to, came to investiage what in things is true and what false, thinking that by deciding these issues they would become tranquil. The chief constitutive principle of scepticism is the claim that to every account an equal account is opposed; for it is from this, we think, that we come to hold no beliefs. Contemporary discussion of quietism can be traced back to Ludwig Wittgenstein, whose work greatly influenced the Ordinary Language philosophers. One of the early Ordinary Language works, Gilbert Ryle's The Concept of Mind, attempted to demonstrate that dualism arises from a failure to appreciate that mental vocabulary and physical vocabulary are simply different ways of describing one and the same thing, namely human behaviour. J. L. Austin's Sense and Sensibilia took a similar approach to the problems of skepticism and the reliability of sense perception, arguing that they arise only by misconstruing ordinary language, not because there is anything genuinely wrong with empirical evidence. Norman Malcolm, a friend of Wittgenstein's, took a quietist approach to skeptical problems in the philosophy of mind. More recently, the philosophers John McDowell and Richard Rorty have taken explicitly quietist positions. ↑ Virvidakis, Stelios; Kindi, Vasso. "Quietism". Oxford Bibliographies Online Datasets. doi:10.1093/obo/9780195396577-0184. Macarthur, David. “Pragmatism, Metaphysical Quietism and the Problem of Normativity,” Philosophical Topics. Vol.36 No.1, 2009.